OSHA’s tongue-in-cheek April Fool’s day training blog post recommended two free smartphone apps to help you detect whether or not the roads, parking lots, and sidewalks are safe this winter. Even though black ice is not a laughing matter, your best protection against slip and fall and road accidents is still just good common sense. OSHA Cold App – Here are the instructions on how to use this App: Place your smartphone face up on the ground in an open area located outdoors, exposed to the elements. Wait 12 minutes, and then scratch a fingernail over the screen. Then look at the screen; if you see a layer of frost buildup on the screen, very cold weather has been detected. You should immediately take a break and sip some hot chocolate. All joking aside, did you know that OSHA has declared black ice is the deadliest of all winter driving hazards? Winter can be a stunningly beautiful season when the snow rests on the trees and the roads are clear as it was in Morgantown this morning. Driving hazards are increased exponentially, though, as the temperature drops below freezing and can make even the simplest commute extremely dangerous. 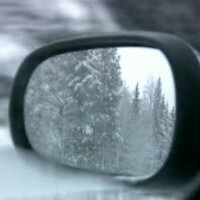 Challenges and risks unique to the season require heightened vigilance, and drivers must adjust their driving to meet the demands of the road. According to the Occupational Safety and Health Administration (OSHA), black ice is the deadliest of all winter driving hazards. More accurately, black ice is transparent ice without ripples or bubbles which may cause the surface of asphalt shine as if merely wet. This type of ice can be nearly invisible. Obviously, if freezing rain is forecast, it is prudent to heed the weather report’s advice to stay home if at all possible. A coating of thin, transparent ice forms on the surface of the road from moisture or airborne exhaust particles when there is a sudden drop in temperature. Black ice forms so quickly that OSHA calls it the deadliest of all winter driving hazards. Black ice is more common at night and early mornings. Asphalt roads, shaded areas, and bridges are particularly hazardous. Intersections can also be dangerous as spinning tires and vehicle exhaust melt snow which refreezes as an invisible coating. The most obvious warning sign is the knowledge that the temperature has dropped to freezing or near freezing. If you aren’t sure, a professional truck driver’s tip is to run your finger down the outer edge of your driver’s side mirror. If ice is forming on the mirror, you know it is cold enough for ice to form on the roads. Also, look for shiny patches on the pavement which are slightly darker in color than the surrounding road surface. Treated roadways may not freeze up right away, but there may still be patches of frozen surfaces on bridges, overpasses, lightly traveled roadways, and untreated road surfaces. These areas can become extremely hazardous very quickly. Construction zones and roadways which change from one surface to another, such as from concrete to asphalt, also are potentially risky areas. Braking on black ice can take up to nine times longer than usual, so anticipate braking distance to avoid losing control. Remain calm and do not brake suddenly or make any other sudden movements. Slow down as much as possible while also trying to avoid being rear-ended. Winter tires can reduce braking distance by up to 50% as compared to all-season tires. If you do start to skid, take your foot off gas pedal, shift the transmission into neutral, and look and steer in the direction you wish to go. Wait until you are well out of a turn before you accelerate. ABS will not help your vehicle stop any shorter, but will prevent your brakes from locking. If you do not have ABS and feel your wheels locking, release the pressure slightly to avoid locked wheels which will not allow you to change direction. Even the best drivers can lose to ice. Stay off the roads if at all possible. In all seriousness, stay in and stay safe! Submitted by the Robinette Legal Group, PLLC of Morgantown, WV. Working together to keep your family safe. If you have questions concerning vehicle collision injuries or insurance issues related to a winter hazard injury, please contact us today at 304-594-1800 or after hours, 304-216-6695 or visit our website for the answers you need today.